*Disclosure: We did receive these products to facilitate my review. These opinions are my own and were in no way influenced by another person. Ok, I am the first to admit that I am reliving my childhood through my own children. That is part of why I love my job so much. Reviewing new toys is a fun gig, especially when it means that I get to hang out with my kiddos and play with a toy that I would have LOVED as a kid. These Shopkins toys would have been right up my alley. No surprise, my daughter is pretty nuts for them too. I’m not sure if it is the whole miniature thing or if it is just how imaginative these toys are, but they are so much fun. We recently reviewed some of the products from the Shopkins Season 3 line, so fun! 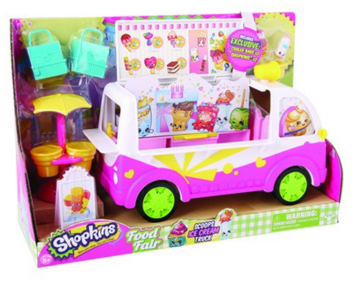 Comes with a cool Ice Cream Truck and 2 exclusive creamy and cold Shopkins! Comes with exclusive Jelly Bags and 2 Shopkins! I really enjoy playing with these with my daughter. The promote so much imagination because each little Shopkins piece represents something: a pack of gum, ice cream cone, shoes, toaster, washing machine, pie … you get the idea. Little tiny thing that resemble merchandise that you might find in a store. 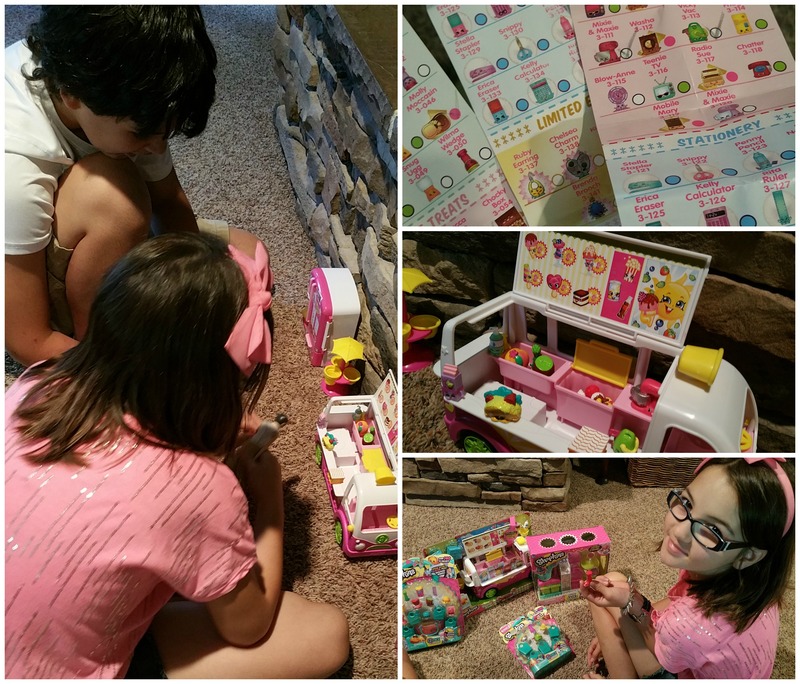 My kids love to set up a Shopkins city and this toy line is so fun because they just keep adding to it. My daughter likes to trade these with her friends, and I love that each new set just adds to her Shopkin world. When I was a kid, I used to LOVE to play store, and that is what this reminds me of, because obviously it’s all centered around shopping. It’s so fun to fill the little bags and “shop” at each different store. My daughter loves to get her shops all set up and then I will come along and pretend that I am her customer. 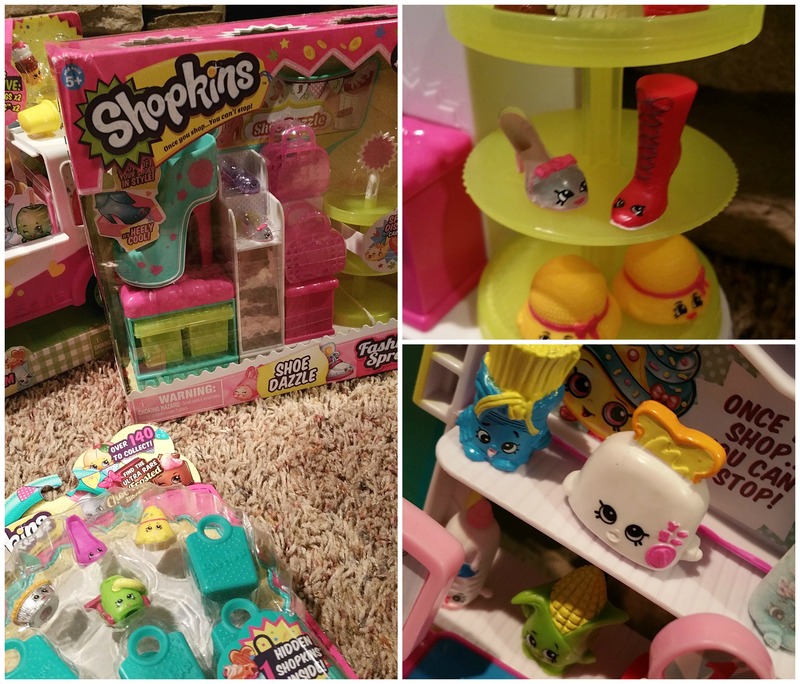 If you are looking for great gift ideas for the upcoming holiday season, I highly recommend Shopkins. Hours of fun, affordable and so stinkin’ cute!